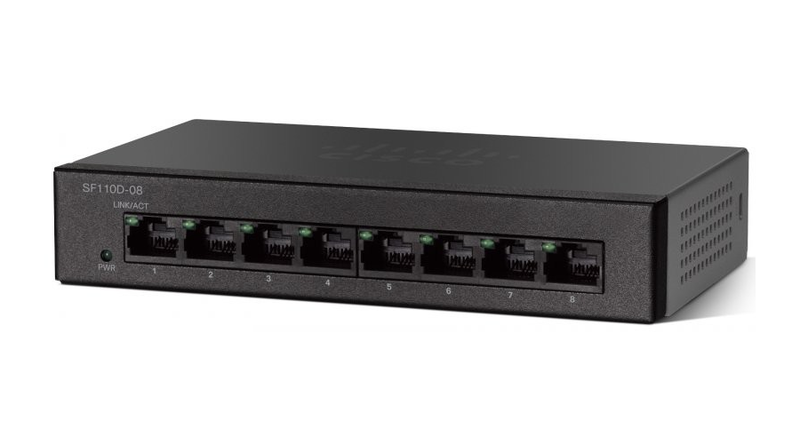 Give your office network a boost of speed and performance at a low price that takes almost no time to set up. Easily build a highly reliable network to connect your computers, printers, copiers, and other office equipment. If your business is like most small companies, you do not have an IT staff to set up your network for you. Now you can have a high-performance, business-class office network that just works, right out of the box, with the Cisco 110 Series Unmanaged Switches. Users, workgroups, labs, departments, or growing offices can now deliver large amounts of multimedia, image, and video information across the network in almost no time.